Born and raised in Houston, Texas, Syd Moen received both her Bachelor's of Art in Art History and a Master of Architecture from the University of Houston. Throughout the years she has experimented with numerous artistic mediums; however, she always comes back to photography as the core resource for her explorations of self-expression. 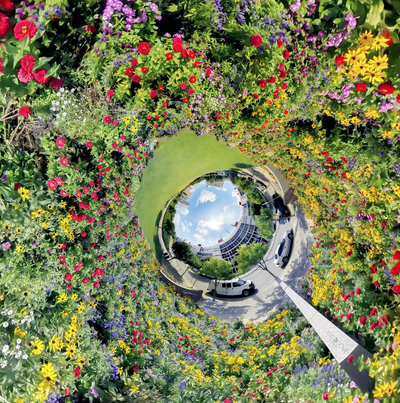 In her “Little Planet” series she has an opportunity to tap into her experience in photography and spatial thinking.